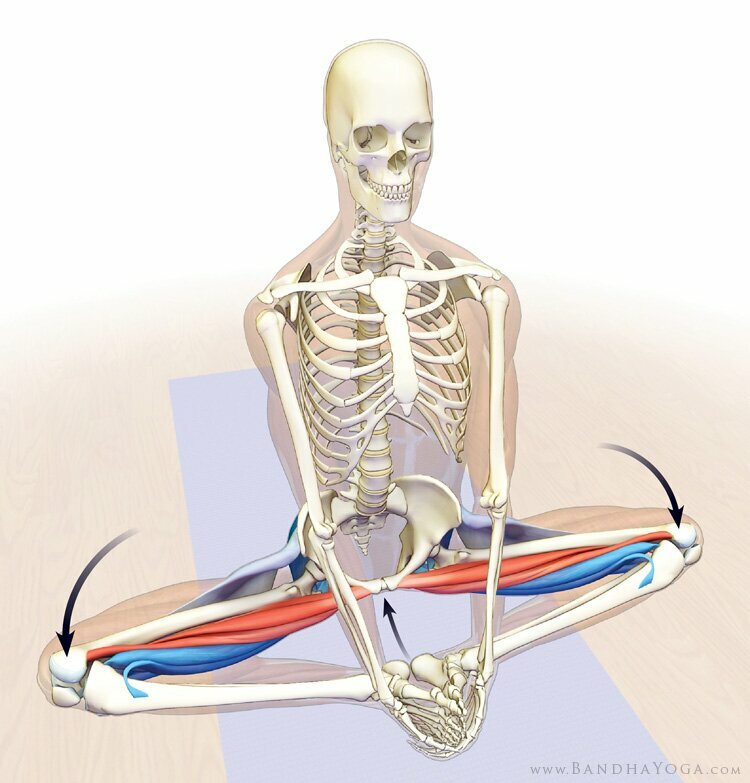 Baddha Konasana (bah-dah koh-nah-sah-nah; Sanskrit: बद्धकोणासन ; IAST: baddhakoṇāsana), Bound Angle Pose or Cobbler Pose (after the typical sitting position of Indian cobblers when they work) is an asana. 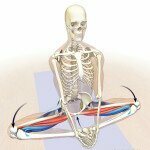 The name comes from the Sanskrit words baddha (बद्ध, baddha) meaning “bound”, kona (कोण, koṇa) meaning “angle” or “split” and Asana (आसन, Āsana) meaning “posture” or “seat”. From sitting position with both the legs outstretched forward, hands by the sides, palms resting on the ground, fingers together pointing forward, the legs are hinged at the knees so the soles of the feet meet. The legs are grasped at the ankles and folded more until the heels reach the perineum. 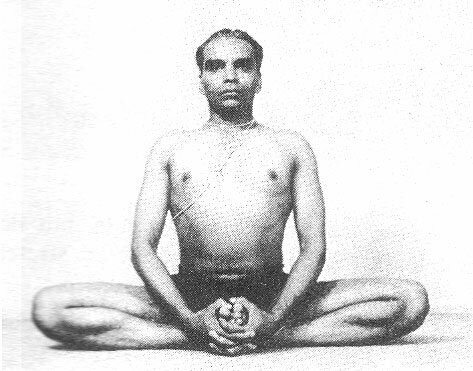 The knees remain on the ground, the body erect and the gaze in front. 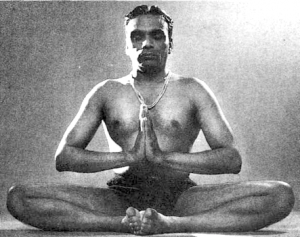 The asana is held before coming back to the starting position. The thighs are stretched with care. It is a strong groin- and hip-opener and one of the few asanas that can be practiced comfortably soon after eating as long as the head is not rested on the floor. 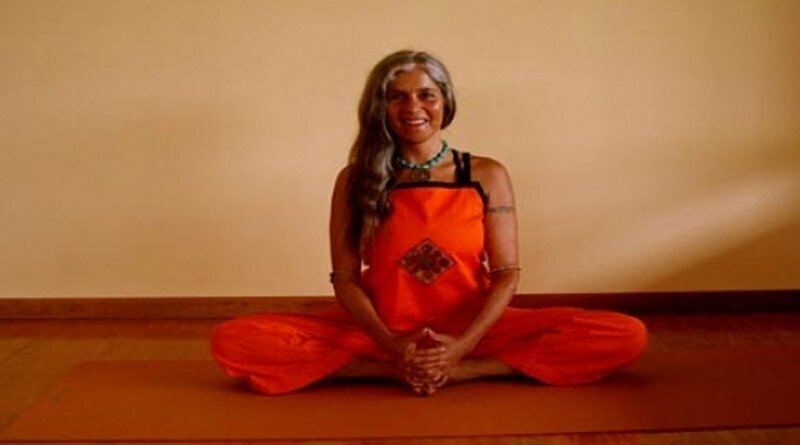 The asana is specially recommended for those suffering from urinary disorders. The pelvis, the abdomen and the back are stimulated by a plentiful blood supply. It relieves sciatic pain and prevents hernia. If practiced regularly, it relieves pain and heaviness in the testicles. 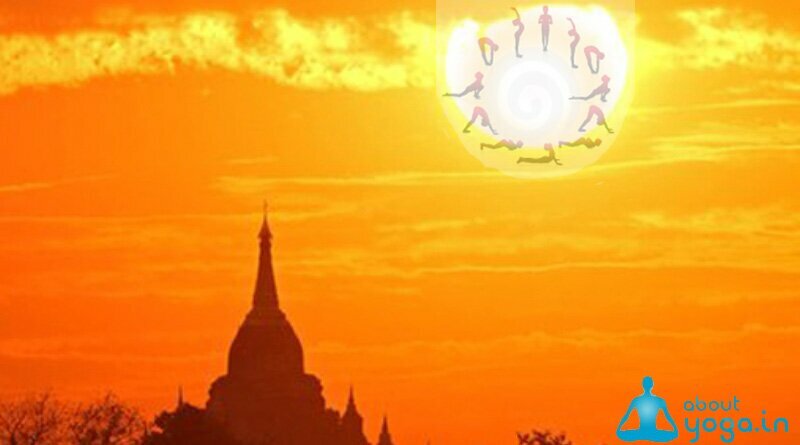 For women, coupled with Sarvangasana, it checks irregular menses and helps the ovaries to function properly. Regular practise of this asana may be beneficial for the lumbar region, flat feet, high blood pressure, infertility and asthma.